A Florida court has ordered Detroit Tigers star Miguel Cabrera to pay $20,000 a month in child support to an ex-mistress he fathered two children with and pay off her nearly $1-million mansion by July. He’d had an ongoing affair with the woman and supported her financially for years. When the wife found out, Cabrera balked at his financial commitment to the other woman. That’s when it turned ugly for him and the matter ended up in a Florida court. According to Florida court documents obtained by the Free Press, the Detroit slugger must pay for health care, private tuition, day care, extra-curricular activities, vacations and $5-million life insurance policies for the two children.This is on top of the $20,000 a month he will pay their mother, Belkis Rodriguez, who lives in a gated community in Orlando with the children. Cabrera must also pay for the woman’s attorney fees. According to court documents, Cabrera had been paying Rodriguez $20,000 a month in child support without any court order, but cut the amount by $5,000 in the summer of 2017. Rodriguez argued this was only done by Cabrera to appease his wife, who discovered the affair and filed for divorce. Cabrera cut his payments, the woman’s lawyer argued, because he wanted to stop the divorce proceedings, which ultimately did happen as his wife changed her mind. Cabrera’s wife, Rosangel, filed for divorce in April 2017. At about the same time, his then-mistress closed on a $1 million house that Cabrera helped her buy. Later that summer, Cabrera stopped paying Rodriguez the additional $5,000 a month in child support that he had agreed to pay when she bought the house, records show. In August, Rodriguez hit Cabrera with a paternity suit, claiming she had no other choice but to sue Cabrera for leaving her with a lifestyle she couldn’t afford. 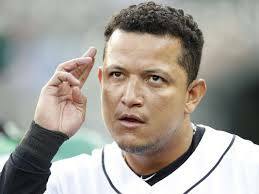 In the twilight of his career, Cabrera remains a very wealthy man but the ugliness of the paternity suit and his two family lifestyle are putting a damper on his ability to enjoy the wealth. This is how messy some divorce and paternity cases can become. Cabrera’s story may be a cautionary tale for anyone out there thinking of starting an affair while married. If it doesn’t then be prepared for the potential consequences.